As parents, partners and homeowners, it’s easy to become complacent with the normality of everyday life. We might pop out and leave the upstairs window open by mistake, forget to close and lock the garden gate. Or even leave the car unlocked while you pop inside for whatever it was you’d forgotten this time…But did you know that many home burglaries and thefts aren’t specifically planned – it’s usually done by an opportunist. So, when was the last time you thought about the general security of your home? We’re busy people, so probably not recently, right? Well, here you’ll find ways you can upscale the security of your home and make every feel a lot safer. Did you know that putting up signs is a sure fire way to let anyone passing by know that your property is secured and being watched? “No trespassing” signs such as the ones you can find here, are easy to put up and makes it look as though the house is being monitored. If you have CCTV then you need to clearly post signs around your property letting the public know. If you don’t actually have CCTV, then it’s actually works as a bit of deterrent anyway and might make an opportunist think twice before they try to get inside. Don’t have a dog? Doesn’t mean you can’t put up a “Beware of the Dog” sign! Even if your tiny pug’s bark is worse than it’s bite, a potential intruder will be put off by something that might create noise and draw attention. When we see bad things happening on crime shows, real or not. Many of these things happen under the cover of darkness. So, if the outside of your property is a little dark and gloomy, consider lighting it up a little. Bright porch lights are a great place to begin, or motion detector lights. If you don’t want something as intrusive as that, then consider some subtle garden lighting instead. The idea of being seen might be enough to put any potential crime from taking place – and there’ll be fewer places to hide. That games console your eldest got for their birthday, or the laptop you use for work every day – all the electrical items that we have worked hard for and enjoy are probably on display more than you think. Keep your curtains drawn as soon as it becomes dark outside – remember, you might not be able to see out, but passers-by can easily see in! And if you have blinds, consider only leaving them partly open when you leave the house, as this will make it harder for a thief to see the big flat screen TV you have up on the wall. 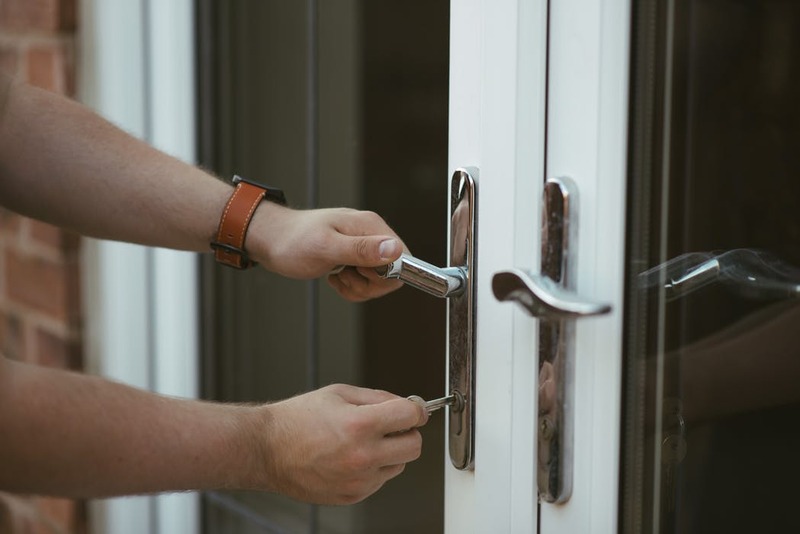 If you’re really concerned about the security of your home, then speak to your local police authority, neighbourhood watch scheme or have a security firm come and survey your property. You’ll probably feel better knowing you have a burglar alarm set up.